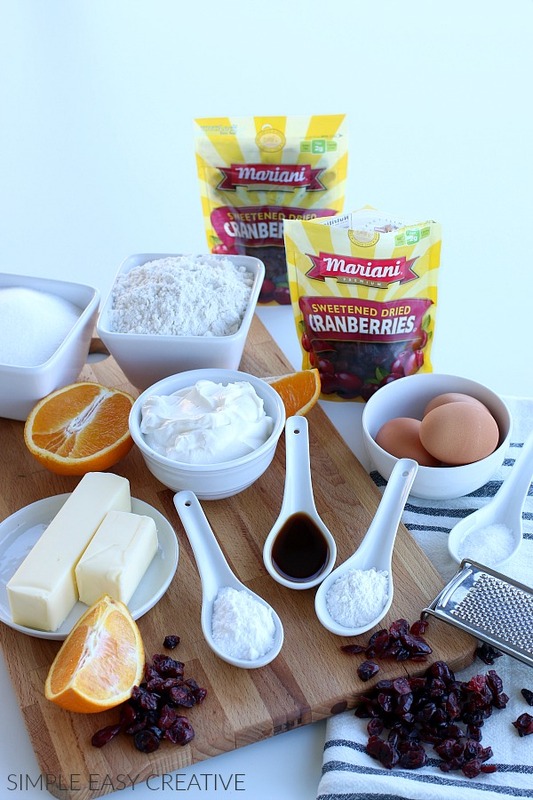 This recipe is brought to you by Mariani. As always, the opinions are my own. Whether you are celebrating a special occasion, having guests over for brunch, or entertaining a crowd – coffee cake is one of those recipes that are a must have in your recipe box. However, we all want to get in and out of the kitchen in as little time as possible, so we can spend more time with our families and friends. 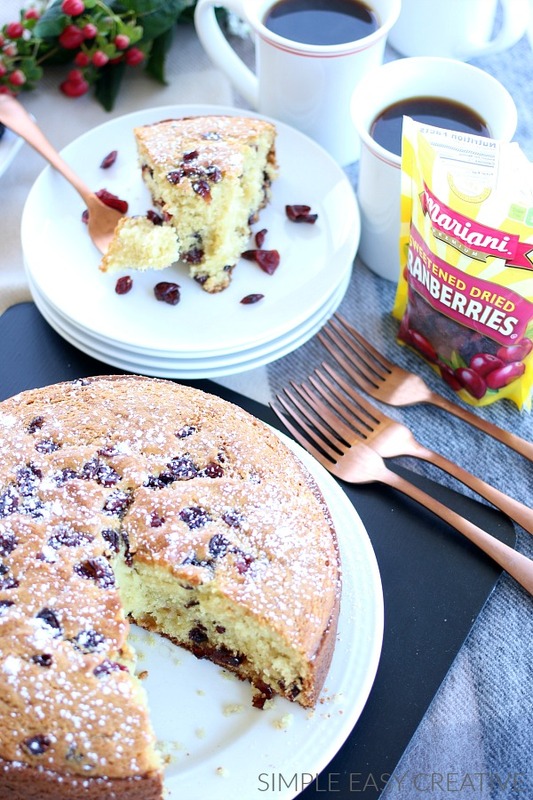 This Cranberry Coffee Cake can be made ahead, saving you time. If you like to serve it warm, it can be put together the day before, and then baked, or you can bake it ahead, and serve it room temperature or slightly warm. Putting together a coffee cake is one of the easiest recipes you can make. This Coffee Cake Recipe is a basic recipe, and then I added dried cranberries, the zest and juice of half an orange. The flavor combination of dried cranberries and orange goes really well together. Not only is coffee cake great for breakfast or brunch, you can also serve it as a dessert or as a snack. 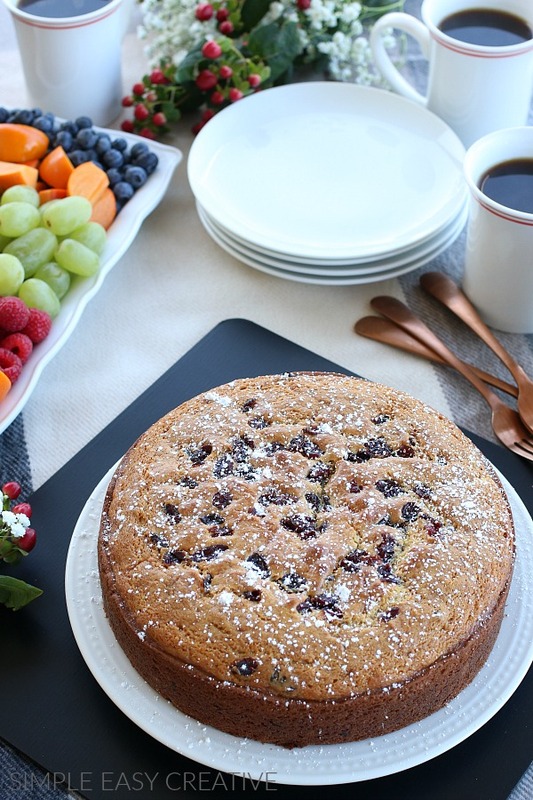 A slice of coffee cake, and a cup of coffee make a great afternoon snack. 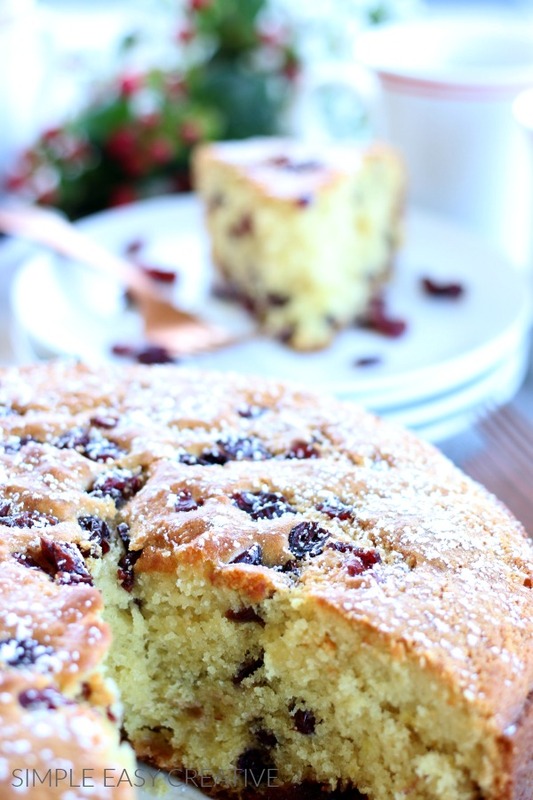 Cranberries are an ingredient that I love baking with, especially during the holidays. 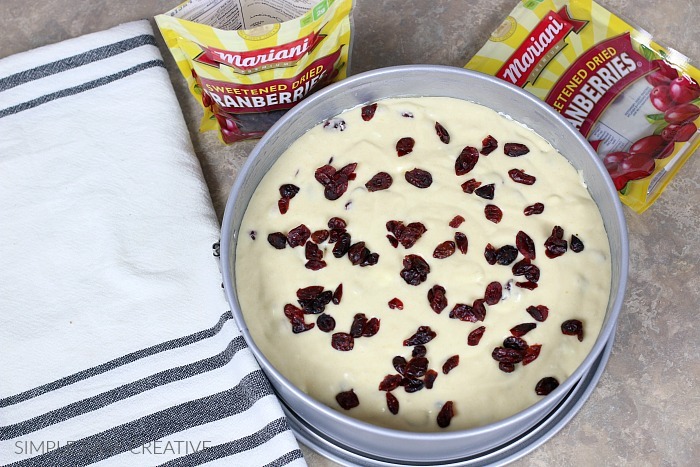 And having Mariani Dried Cranberries on hand is perfect! You can add them to bread, cakes, cookies and even just have them to snack on. Toss the cranberries into the dry ingredients to coat, breaking apart any clumps. 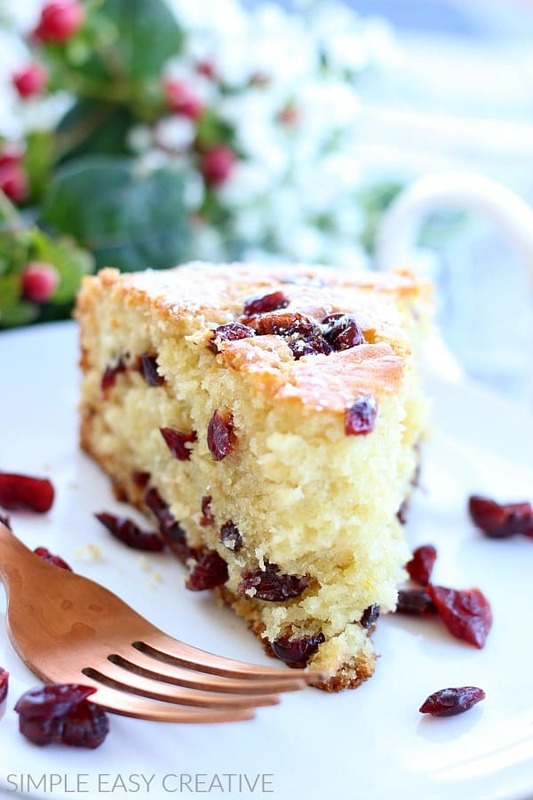 By doing this step, the cranberries won’t sink to the bottom of the cake while baking. Add the mixture to a prepared baking pan. You can use a 9 inch spring form pan or a 13×9 baking dish works fine too. 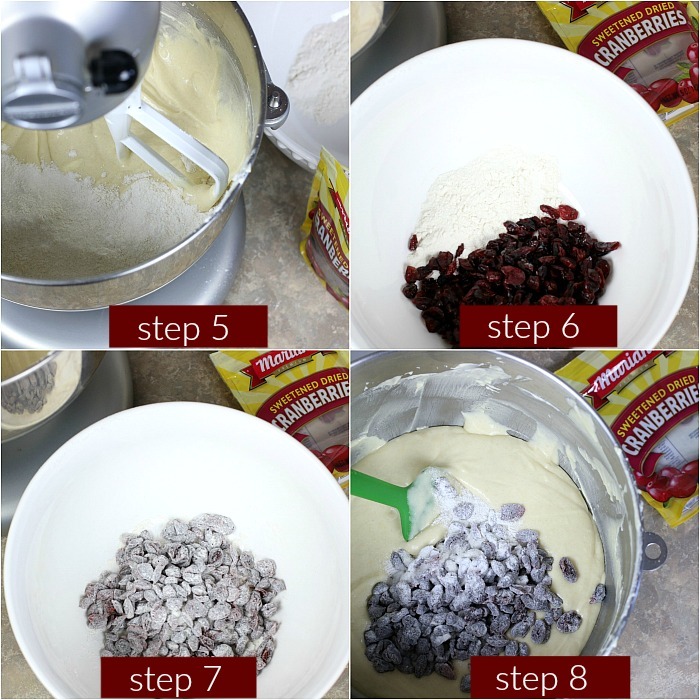 Sprinkle a few additional dried cranberries on top of the mixture. Then off to the oven it goes. To serve, lightly dust the top of the Coffee Cake with powdered sugar, if you like. 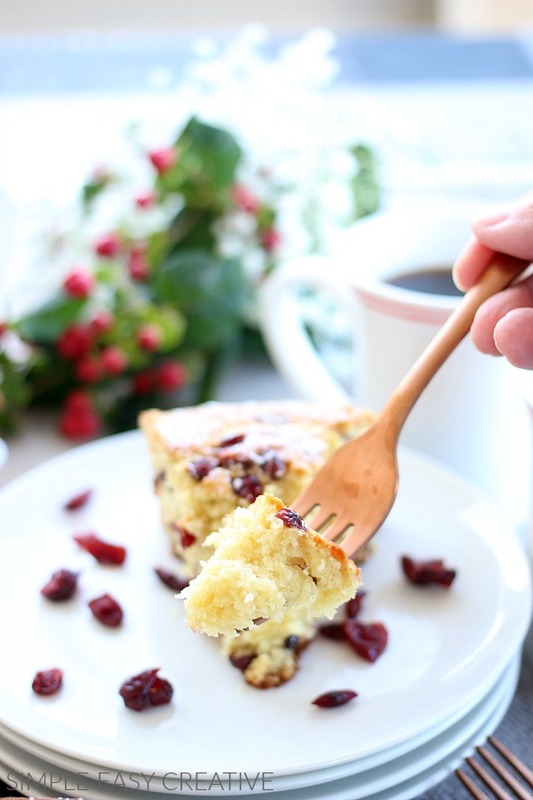 This Cranberry Coffee Cake is light, fluffy and packed with flavor. Grab a cup of coffee and enjoy! 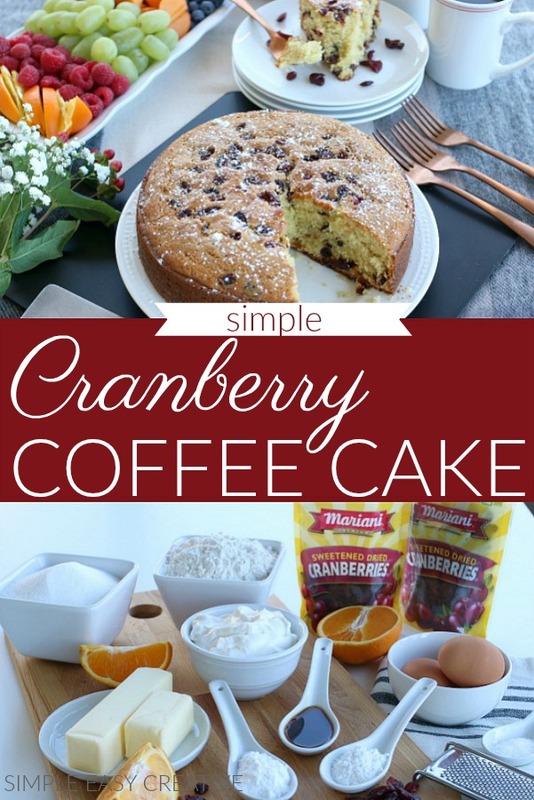 With a hint of orange, and dried cranberries, this Cranberry Coffee Cake will be a family favorite. Make Ahead - to make the day before, prepare as directed, then wrap in plastic wrap and store in refrigerator over night. 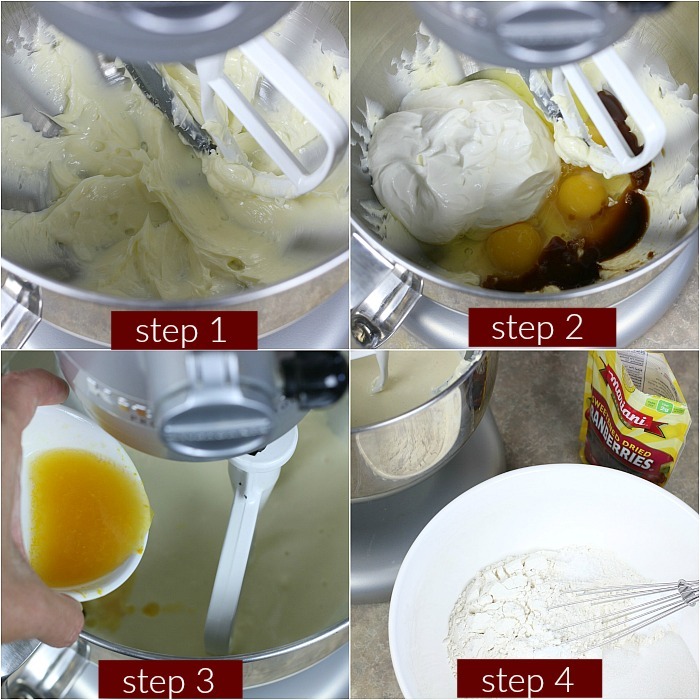 To bake - remove from fridge at least 30 minutes prior to baking. You may need to increase baking time a little if the cake is too cold. Oh my gosh delicious! Thank you so much! I hope you get a chance to try it Jessica, it’s a favorite here for sure! This looks heavenly! Looks delicious and so easy to make! This is literally perfect! I’ve been searching for a good holiday coffee cake and this is the one! Thanks so much! Thrilled you like it! So soft and tender with perky flavor! Yes! It’s delicious! I hope you have a chance to try it Sommer! Coffee cake is my weakness! This will be perfect for Christmas morning. Oh yes, mine too! Thanks Cheryl!